Winner. 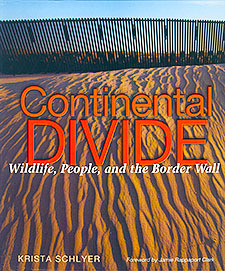 Continental Divide: Wildlife, People and the Border Wall. By Krista Schlyer. Texas A&M University Press, College Station. ISBN 9781603447430. This book is one of the most important works on nature to be published this year. But, first, a clarification: the title “Continental Divide” is not about the separation of the Atlantic and Pacific watersheds. Rather it’s about the man-made separation between the US and Mexico: the border wall. The wall, of course, is controversial, but left out of the public debate has been the wall’s effect on the natural environment. In this ground breaking work, Author Krista Schlyer reports on what’s been forgotten – and what she has to say is not good. Congress has allowed environmental laws near the border to be waived, and as a result the wall has devastated wildlife migration paths while at the same time rerouting human traffic through the most pristine and sensitive of wild lands. The public needs to be fully informed of the true costs of the wall, and Schlyer’s book is an important step in that direction. Honorable Mention. 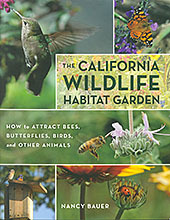 The California Wildlife Habitat Garden: How to Attract Bees, Butterflies, Birds and Other Animals. By Nancy Bauer. University of California Press, Berkeley. Can a backyard, even a small one, be a sanctuary for wildlife? The answer is a resounding yes, and Nancy Bauer in this colorful book guides you, step-by-step, how to do exactly that. While the book is oriented to California gardens, the practices that she describes apply everywhere. Moreover, they are sorely needed. Bee populations are rapidly declining. Some songbird species are disappearing, and even numbers of the majestic Monarch have dwindled. A major cause of those declines is the loss of habitat, and by creating wildlife gardens we can give nature a hand, helping to restore some of what’s been lost. Winner. 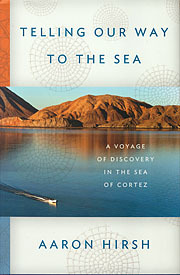 Telling Our Way to the Sea: A Voyage of Discovery in the Sea of Cortez. By Aaron Hirsh. Farrar, Straus and Giroux, New York. Aaron Hirsh pulls off a small miracle in Telling Our Way to the Sea. He takes a book on natural history and fashions it into something akin to a novel. Each year for a decade Hirsh has been taking a small group of students to the Sea of Cortez for a course in ecology and evolutionary biology. In the book, he focuses on one special class, and you’ll quickly find yourself as one of the members of the class snorkeling, wading, and exploring – and listening to Hirsh as he tells our way to the sea. Using dialog, interactions between himself and his students, he merges marine biology, conservation, research, and cultural and natural history into a compassionate and insightful narrative. Honorable Mention. The Incidental Steward: Reflections on Citizen Science. By Akiko Busch. Yale University Press, New Haven. ISBN 9780300178791. In this elegant and introspective work, Akiko Busch examines the contributions and value of volunteer naturalists and amateur scientists. She uses the term “citizen science” to better describe the expansive scope and lasting benefits which come from their work. In The Incidental Steward Busch escorts us throughout the Hudson Valley area where we visit several citizen scientists as they assist in biological research, make and record observations, organize other volunteers, and work to improve the natural environment. It’s an enriching process for those who participate and for science in general. Busch has done something special here, creating a song about place, a call to engagement, and a thoughtful commentary on our rapidly changing world. Honorable Mention. Wolves in the Land of Salmon. By David Moskowitz. Timber Press, Inc., Portland. ISBN 9781604692273. Photographer and expert tracker, David Moskowitz is on a mission to see wolves. He crisscrosses the Pacific Northwest looking for their signs, following tracks, and with a bit of luck, manages to observe them close at hand. From each journey, he comes away with some new understanding. His treks help carry the book forward, but he also uses them to build a more complete picture of the reintroduction of wolves, adding a wealth of information on their behavior, biology, and the controversy swirling about them. 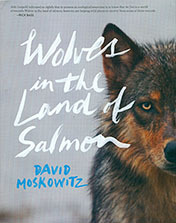 Colorfully illustrated with Moskowitz’s splendid photographs, this is a fine new work on this elusive predator. Winner. 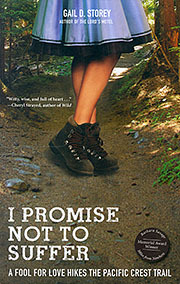 I Promise Not to Suffer: A Fool for Love Hikes the Pacific Crest Trail. By Gail D. Storey. The Mountaineers Books, Seattle. ISBN 9781594857454. At the age of fifty-six, Gail Storey wasn’t all that keen on putting her life on hold, selling her possessions, including a dream house, to hike the Pacific Crest Trail. But she longed to be there with her husband and immerse herself in nature. But wait. Nature? Is she crazy? She hates bugs! I Promise Not to Suffer is a highly creative and brilliantly witty account that describes the Pacific Crest experience like none other. Using her husband’s inventive lightweight equipment – some of which they find is a work-in-progress – they start at the Mexico border and begin the epic trek north. With wonderful turns of phrase, a keen observant eye, and self deprecating style, Storey is a consummate story teller. In the end, we come to know her as someone with a ticklish sense of humor and a willing sufferer with a heart of gold. Honorable Mention. Closer to the Ground: An Outdoor Family’s Year on the Water, in the Woods and at the Table. By Dylan Tomine. Patagonia Books, Ventura, CA. ISBN 9781938340000. When Dylan Tomine was young, he and his friends would scamper throughout the neighborhood picking blackberries. “If you pick ‘em, I’ll bake it,” his mom would tell him. It was the remembrance of his mom’s steaming, fragrant pies, fresh out of the oven that years later would, in part, make wild food gathering a way in which his family could spend time together in the outdoors. In this beautifully written and heartfelt account, Tomine describes his family’s forays into nature. They grow vegetables, fish for salmon, dig for oysters, forage for mushrooms, and hunt for deer. The book is not about survival. Tomine fully admits that they still get much more of their food from the grocery store, but, rather it’s a way to raise a family in modern times while remaining grounded with the natural environment. Winner. Everest: The West Ridge. By Thomas F. Hornbein. The Mountaineers Books, Seattle. No doubt about this one. Everest: The West Ridge is a mountaineering classic. It’s the story of the 1963 Everest ascent by a bold and entirely unknown route: the West Ridge. After an exhausting final push, author Thomas Hornbein and his climbing companion Willie Unsoeld, reach the summit, but it is so late in the day that they find themselves caught out at 28,000 feet. They have no shelter, food, or oxygen, and are well within what is known as the death zone. No one knew whether it was even possible to survive a night at that elevation. 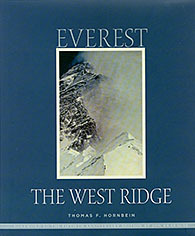 Thanks to the Mountaineering Books, The West Ridge has been re-issued in an impressive special 50th anniversary edition. It’s all there: the original text, the photographs, and a special addendum which follows-up on the lives of each of the members of the expedition now fifty years later. Winner. 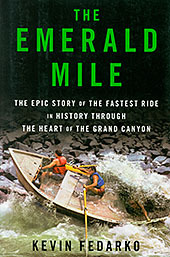 The Emerald Mile: The Epic Story of the Fastest Ride in History Through the Heart of the Grand Canyon. By Kevin Fedarko. Scribner, New York. ISBN 9781439159859. In late 1983, under the cover of darkness, three river guides slipped a wooden dory into the swollen waters of the Colorado. The river was in flood, a torrent not seen since the gates had been closed on the Glen Canyon Dam years earlier and located just upstream from their launching point. What they were doing was illegal. Yet the risk of arrest was a small matter compared to their goal to run the river faster than any other. Run-off from an unusual heavy snow year was pouring into the reservoir behind the Glen Canyon dam. So much water was coming so fast that it threatened the integrity of the dam, and the dam’s operators were releasing unheard of amounts of water. 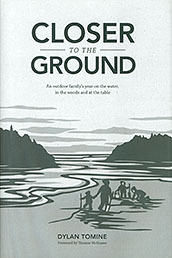 Author Kevin Fedarko focuses on the three guides, but at the same time, he adeptly weaves into his narrative the broader story of the river itself, and the clash of two opposites: those who love the wild untouched river – and those who desire to use the river for economic benefit. Like the small wooden boat flung down the river, Emerald Mile is a riveting ride through history, politics and big dreams. Winner. The Appalachian Trail: Celebrating America’s Hiking Trail. By Brian B. King. 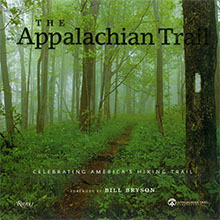 Rizzoli International Publications in combination with Appalachian Trail Conservancy, New York. ISBN 9780847839032. The Appalachian Trail is one of the finest achievements in our nation’s outdoor history – and this new lavish book is the perfect testament to that achievement. It also celebrates an important milestone: a birthday! The trail is now a healthy 75 years old. Done in large format, coffee table style, it consists of a series of essays and is packed full of inspiring photography - contemporary and historical. The finishing touch to this already outstanding volume is tucked inside the back cover: a fold-out map of the entire Appalachian Trail. Winner. 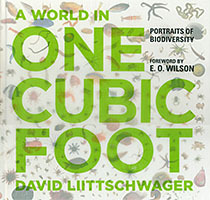 A World in One Cubic Foot: Portraits of Biodiversity. Text and Photography by David Liittschwager. The University of Chicago Press, Chicago. ISBN 9780226481234. Open this book and you’ll suddenly find yourself in an art gallery surrounded by spectacular portraits of nature’s denizens. The artist is master nature photographer David Liittschwager and his subjects are plants, animals and insects gathered from different ecosystems throughout the world. But there is something special about these photographs. They all come from a limited space, the size of one cubic foot – a space, through Liittschwager’s artistry, is revealed in a richness of life never before seen. Winner. Travels with Gannon and Wyatt: Botswana. By Patti Wheeler and Keith Hemstreet. Greenleaf Book Group Press, Austin, TX. This exciting 140-page novel is the first in a series of adventure books for the 9-12 age group. It is about twin brothers whose parents have jobs which take them to different places in the world. 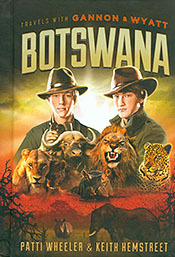 In this book, the brothers travel to Botswana. Their story is told, quite cleverly, in journal form: first one brother writing in his diary and then the other brother – a technique that might inspire young readers to keep their own diaries. While in Botswana, the boys go on a safari. They see and learn much about African wildlife, and at one point, they come upon a lioness that has been shot by poachers. The brothers help nurse it back to health and take care of her cubs. Then the boys’ adventure really picks up when they run into the poachers. Parents will find it just the right combination for growing children with lessons about nature and life in general. Honorable Mention. 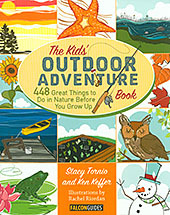 The Kid’s Outdoor Adventure Book: 448 Great Things to Do in Nature Before You Grow Up. By Stacy Tornio and Ken Keffer. Illustrations by Rachel Riordan. Falcon Guides, Guilford, CN. ISBN 9780762783526. This is the perfect book to draw children (3-13 years of age) away from computers, electronic games and television. What is its secret? Colorful illustrations for one. A whole book full of fun ideas for another. And then there are those checkboxes. Checkboxes? Indeed! Kids love them. They’ll be keen to check off the boxes and to run outdoors for the next adventure. Whether you live in the city or in the country, The Outdoor Adventure Book is chock full of things to try – and children won’t even need a computer to try them. Winner. 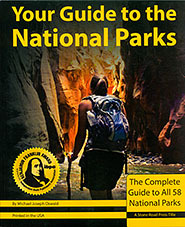 Your Guide to the National Parks: The Complete Guide to All 58 National Parks. By Michael Joseph Oswald. Stone Road Press, Whitelaw, WI. ISBN 9781621280002. Slip this 695-page book into your glove compartment, and you’ll have the perfect travelling companion when visiting the national parks. It covers all 58 parks with a bounty of information on each. There are kid-friendly activities, lots of ideas for hikes, and an exhaustive list of hotels, restaurants and attractions beyond the parks’ boundaries. With more than 500 color images, 140 easy-to-read maps, and 55 hiking tables, you’ll be armed and ready for your next trip to the outdoor gems of the nation. Winner. 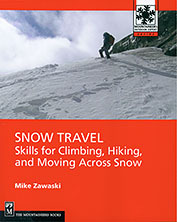 Snow Travel: Skills for Climbing, Hiking, and Moving Across Snow. By Mike Zawaski. The Mountaineers Books, Seattle. ISBN 9781594857201. Whether you are a hiker or climber, sooner or later, you’re bound to find yourself on snow slopes. Steep snow, of course, can be hazardous unless you are prepared. This fully illustrated, comprehensive guide, by a long time outdoor instructor and trainer Mike Zawaski, is designed to help keep you safe. It covers pre-trip planning, self arrest, use of crampons, and advice on how to recognize and evaluate potential hazards. Winner. Butterflies of Indiana: A Field Guide. By Jefffrey E. Belth. Indiana University Press, Bloomington. ISBN 9780253009555. There’s nothing more pleasurable in the summer than to be surprised by the sudden splash of color of a butterfly. But what is the name of that butterfly? 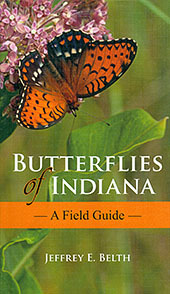 Jeffrey Belth can help with his new guide to butterflies of Indiana. (The guide is also useful in most eastern and central states). Colored tabs on the book’s edge will take you quickly to like-colored butterflies where Belth’s crisp photographs and field mark indicators help you make a final identification. Perfectly sized for use in the outdoors, you won’t be at a loss for a name next time that flash of color flutters by. Honorable Mention. 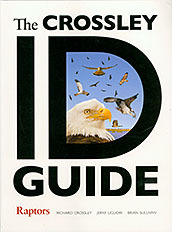 The Crossley ID Guide: Raptors. By Richard Crossley, Jerry Liguori and Brian Sullivan. Princeton University Press, Princeton, NJ. If you haven’t seen a Crossley bird guide, you’re in for a visual treat. Birder and photographer Richard Crossley creates a sort of bird montage which he manipulates into an exceptionally effective identification tool. In this guide, he starts with a dozen or more images of a raptor, showing it in a wide variety of perspectives: near and far, gliding and soaring, landing and perching. He, then, superimposes them on a background image representing a habitat in which the raptor might be commonly found. The result, particularly when spread across two pages, is as stunning as it is highly instructive. Topping it off are Crossley’s two co-authors, both noted raptor authorities, who have prepared much of the text which supplements the illustrative material. Honorable Mention. 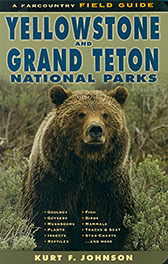 The Field Guide to Yellowstone and Grand Teton National Parks. By Kurt F. Johnson. Farcountry Press, Helena, MT. Heading to Yellowstone or the Tetons? Planning to take along a few field guides but realize there’s only room for one? Here’s the one to take. Kurt Johnson’s Field Guide to Yellowstone and Grand Teton National Parks is compact and full of clear and colorful illustrations. You’ll be amazed at the scope of this 244-page guide. It literally covers it all: plants, wildlife, insects, reptiles, birds, tracks – and, yep, even the starry skies at night. Official NOBA reviews prepared by Ron Watters. Reviews are based on comments and insights provided by members of the judging panels. A special thanks to Katherine Daly for her editorial work. Freelance outdoor columnist for the Idaho Statesman, certified Nordic ski instructor, and active member of the Outdoor Writers Association of America. Doctorate in Recreation and Leisure Services from University of Utah. Author of two outdoor guidebooks Best Easy Day Hikes Boise and Best Rail Trails Pacific Northwest: Washington, Oregon, and Idaho, and the mobile app travel guide Boise's Best Outdoor Adventures. Writer, editor, and publisher. Author of several outdoor titles. Independent river guide since 1968. Served as a judge for the Djerassi Resident Artists Program. Director of Literary Services for the Idaho Commission on the Arts. Doctor of Jurisprudence from the University of California. Naturalist, freelance writer and editor, leads local bird hikes and conducts bird surveys for Audubon. Author of The Gardener's Hummingbird Book. Regular columnist for Outdoor News and Minneapolis StarTribune. Writes for local, regional and national nature and bird-oriented publications. Vice President and co-founder of emapstore.com specializing in maps and outdoor and travel books. Licensed South Carolina and Georgia geologist. Former environmental geology consultant. Assistant Professor in Outdoor Recreation Management at Lock Haven University. Former President, of the Association of Outdoor Recreation and Education. Journal Advisory Board for Journal of Experiential Education. Former outdoor program coordinator, University of Nebraska at Omaha. Co-author of Outdoor Recreation in America. Past president of the Association of Outdoor Recreation and Education. Doctorate in Human Sciences from the University of Nebraska-Lincoln. Assistant Professor for management and leadership development at the College of Coastal Georgia. Twenty years experience as an outdoor adventure leader. His wife Sara who assists with judging the children's category is an elementary school teacher and has worked in a children's bookstore. Biology instructor at Caldwell Community College. Naturalist. Former trip leader for Appalachian State University. Avid mountaineer and hiker. Naturalist, writer and nature photographer. 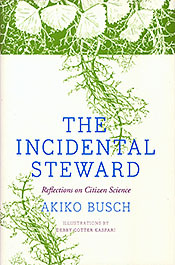 Her book Naturally Curious was the winner of the 2011 National Outdoor Book Award for the Nature Guidebook category. Natural history columnist for The Valley News. Publishes a daily natural history blog. Popular speaker on New England nature topics. Director of the University of Utah Outdoor Recreation Program. Former president Association of Outdoor Recreation and Education. Certified Utah river guide and Leave No Trace Master Educator. Director for Outdoor Programs at Colorado State University. Former outdoor columnist for Gannett newspapers. Founder of a backcountry ski yurt system. Former board member, Association of Outdoor Recreation and Education. Publisher of Purple House Press specializing in classic children's books. Supervises book layout, design and production. Lives on an old dairy farm with her husband, three children, and an assortment of dogs and cats. Serves as president of the local Humane Society. Instructor at North Carolina State University. Program coordinator for Geospatial Information Science and Technology, NC State. Formerly, program director and instructor at Penn State University working with recreation majors and overseeing Penn State's Wilderness Orientation Program. Past program director with Clemson University's Clemson Expeditions. Masters of Education in Outdoor Education. Outdoor industry attorney, risk management consultant, author and speaker. Chair, American Alpine Club Library Committee. Board of directors of the Galapagos Preservation Society, and Colorado Alliance of Environmental Education. Teaches ski area risk assessment, liability and safety at Colorado Mountain College. Fellow of the National Association for Interpretation. Associate Professor of Parks and Forest Resources at Unity College. Consultant for a series of twenty Time-Life nature books. 1987 Thru-hiker of the 2,100+ mile Appalachian Trail. Wildlife biologist and writer. Her book Condors in Canyon Country was the winner of the 2007 National Outdoor Book Award in the Nature and Environment category. Associate Professor, Recreation Administration and Outdoor Leadership at Western Kentucky University. Leave No Trace Master Educator. American Canoe Association Canoe Instructor. Student Literary Award Coordinator for the Association of Outdoor Recreation and Education. Poet and a naturalist guide on the Colorado Plateau. Leads backcountry trips for the Museum of Northern Arizona and teaches art and writing workshops for the Museum, Northern Arizona University and outdoor education centers. Author of several works including Waterlines: Journeys on a Desert River. Chairman, National Outdoor Book Awards. Author of eight outdoor books (Never Turn Back, Ski Camping, The Whitewater Book, etc.) Formerly, Director of the Idaho State University Outdoor Program (25 years). Former director of the Outdoor Program at Texas Tech University in Lubbock. Masters in Outdoor Education from Northern Illinois University. Certified Elementary and Middle School Teacher. The National Outdoor Books Awards Foundation, Inc. is a 501 (c) (3) non-profit organization.